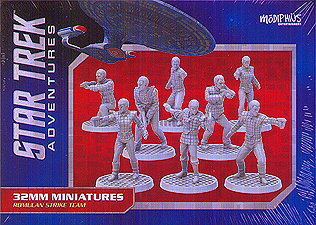 10 Highly detailed, 32mm scale, unpainted resin miniatures of a Romulan strike team for use with Star Trek Adventures the tabletop roleplaying game. This set contains 1 Romulan commander, 4 romulan centurions, and 5 Romulan uhlans. Some assembly may be required.